I first came across a 99¢ Dreams store when I took my somewhat impulsive day trip to New York last October. I only had five hours to capture the city, so I didn’t pay much notice to the stores around me. It was only by chance that I glanced down a street and caught a glimpse of those illuminated letters lighting up the corner. I remember getting a kick out of the store name but not being able to pin point the exact reason why. Looking back, I assume it was the sarcastic nature of the sign and how it seemed to taunt anyone who took a second to glance its way. I mean, really, what exactly makes a 99¢ dream? Something that is found at such a low price may have the chance to hold a sentimental value, but it is cheaply made and will soon break, rust, or simply become lost as you acquire other items of value throughout life. Such a sharp contrast to what one would consider a definition for a dream. 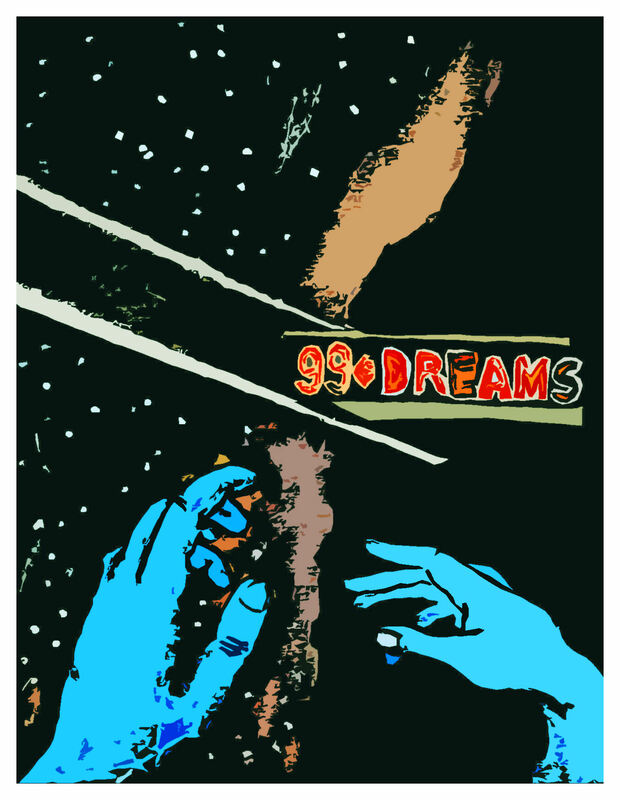 To put it simply, I view a 99¢ dream as a cheap dream that will fade in and out throughout life. It’s a dream that will never be achieved. Such a cheap dream will only exist to be looked at fondly; it will be remembered when life slows down and gives us time to escape into our own minds where we can take pleasure in imagining the long awaited outcome of achieving these cheap dreams that we hold so close to our hearts.